Gamasutra is reporting that THQ will acquire Big Huge Games for an undisclosed sum, making the Maryland-based studio a wholly-owned subsidiary. 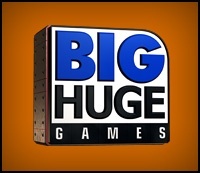 Big Huge Games will remain autonomous, continuing to work in-house without management changes. According to THQ's Jack Sorensen, a large part of the deal hinged on a future RPG from Big Huge Games. "What definitely sealed the deal for us on both sides is the next one. It's more innovative, more unique, and we just felt like it requires both long-term thinking from both sides. But also from THQ's perspective, it showed us that this is a studio that can gen some new concepts. Anything else coming out of Big Huge is icing on the cake." Sorensen said. Big Huge Games COO Tim Train said, "We look at the world as dividing into two camps from a publisher perspective - first are the people who view game production as more of an assembly-line process, whereas THQ are a lot more focused on keeping developer culture intact - they think it's a big engine of creativity, especially when trying to develop original IP. Because they're not built on big, monolithic single-location studios, they've got a very worldwide studio system that was very attractive to us when we were talking to them." THQ and Big Huge Games have already announced a development agreement for an RPG led by Oblivion developer Ken Rolston. It is currently anticipated for a debut on Xbox 360 and PlayStation 3 in 2009.